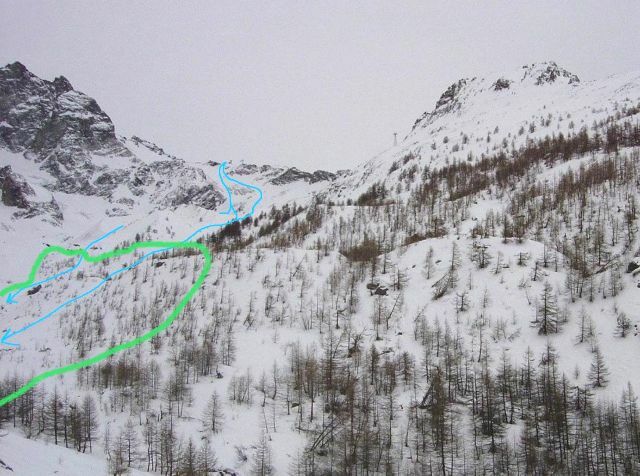 The Derby de la Meije is a race that runs on a terrain called "high mountain "
This domain, "les Vallons de la Meije" is different from other ski resort. 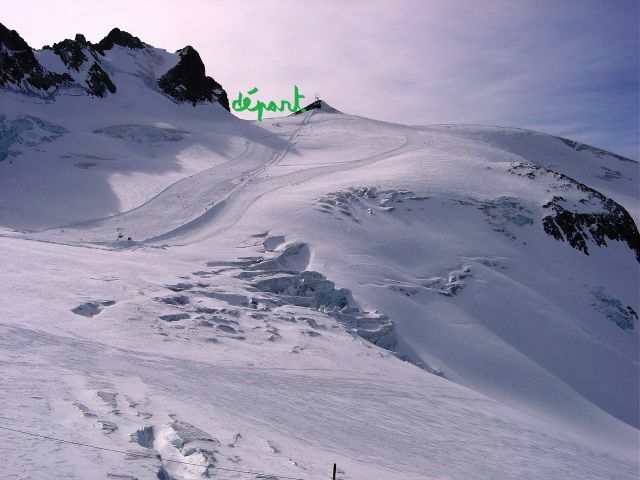 You will be in a very high altitude : 3530m for the start zone at the Lauze pass situated between the Pic de la Grave and the Dome de la Lauze. (Picture 1). 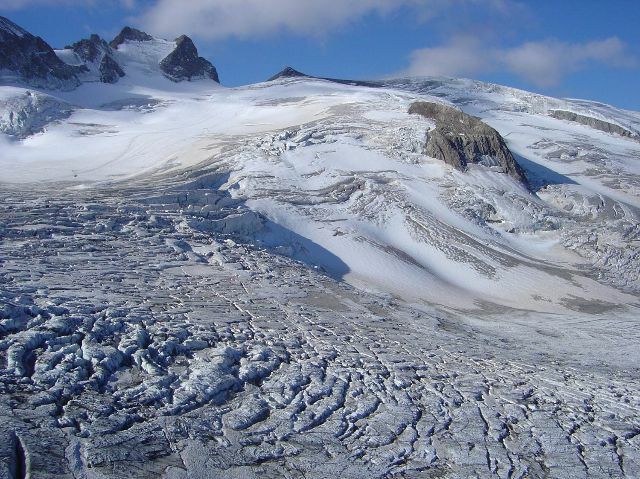 The first part is on the Girose glacier. 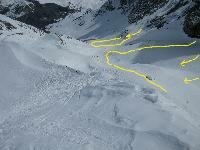 From that point you enter the Vallons de la Meije. The terrain is not laid out. There will be directional nets and Few poles to show blatant dangers. .The lower part runs in a larches forest. (Picture 5). 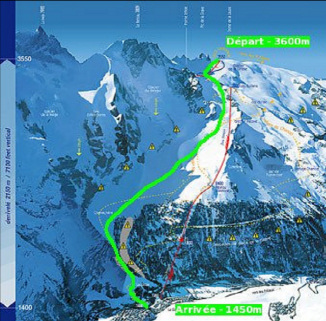 The finish line is at Chal Vachere (around 1800m) if the snow conditions are sufficient. 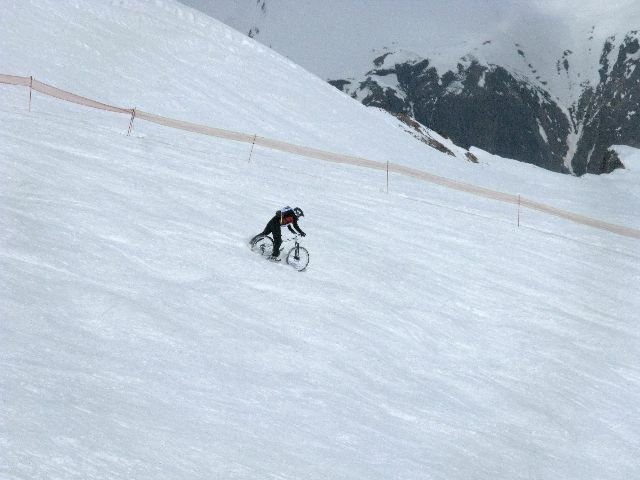 Remember it s a long and demanding race : 1800 m altitude difference (without the return) for a distance of around 8 km. 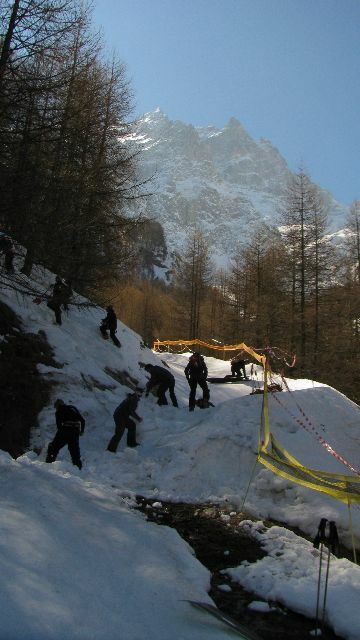 A race committee of 5 mountain and first aid professional members . A team of 50 ski patrollers minimum spread all over the route of the race. We insist on the necessity to do a preliminary exploration of the route (possible until the day before the race). No exploration on the race's day. 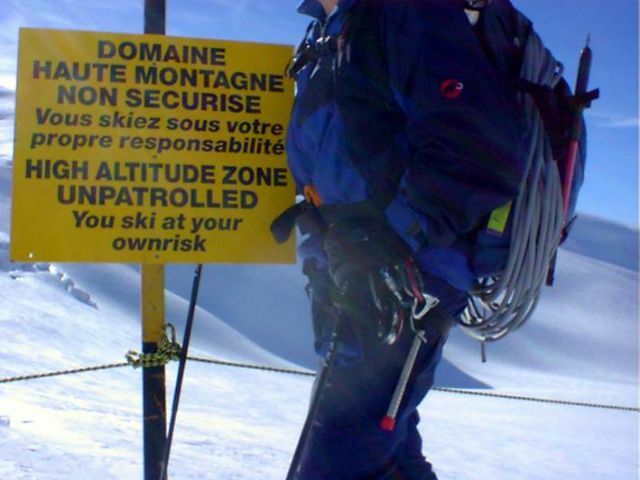 The Avalanche transceiver must be in good working order (brand new batteries) and is mandatory on the race's day..
A helmet, Officially recognized for skiing, is mandatory on the race's day. Your equipment depends on your goals and remember to check your material. 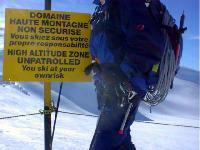 Look at the info, Avalanche risk, weather... given by the patrollers. 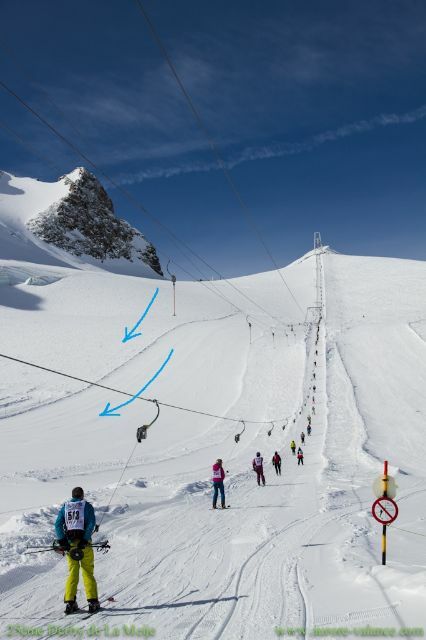 Get informations from the professionals : mountain guides, ski instructors, patrollers and the glacier ski patrols.We advise you to check out your itinerary.